Jonathan Newell discovers how making sure wearable technology fits the bill involves compliance with multiple standards. It isn’t long since the idea of computers embedded in watches or wristbands that measure your biological functions were just the ramblings of futurists and the word “wearables” hadn’t entered the vocabulary. Now, wearable technology is booming and, although the definition is still a little nebulous, 5 million units of smart technology that’s worn were sold last year and currently, it’s estimated that 1 in 7 people has some kind of wearable technology. The forecast for the market is a staggering $25 billion by 2019. It could be argued that wearable technology has been around as long as pacemakers, hearing aids and digital watches with calculators but the established definition by today’s standards demands that wearable technology is smart and in many cases connected. However, in terms of meeting required standards, anything with embedded electronics will need to conform with a number of regulations, depending on where they’re being sold. This includes articles of clothing with flashing lights, Bluetooth devices, smart eyewear, jewellery, tracking and monitoring devices and the latest trend in “tech togs”. Wearables aren’t just confined to fashion items and consumer technology though as there is a rapid increase in the use of such technology in the healthcare industry. Connected home monitoring systems are increasingly being used, which involve devices being attached to or implanted in the patient to monitor bodily functions and parameters and send data for clinical analysis. Some of these devices sometimes perform similar functions to general wellbeing wearables for consumer use but fall under a completely different standards regime. Making evaluations of wearable technology goes beyond the normal functional and safety checks made on electronic devices and examines the wearable aspects as well. According to Richard Poate of TÜV SÜD Product Services speaking at a conference at the recent Engineering Design Show in Coventry, the device needs to be examined in terms of how it should and could be used. He emphasised this point with clothing that could be attractive to children and how this can result in the requirement to evaluate it in terms of toy safety and play value. “This illustrates a new mindset on how we view products. Take a pair of adult socks with LED lights sewn into them for example, these may be seen as a toy by children and should be assessed accordingly,” commented Poate. 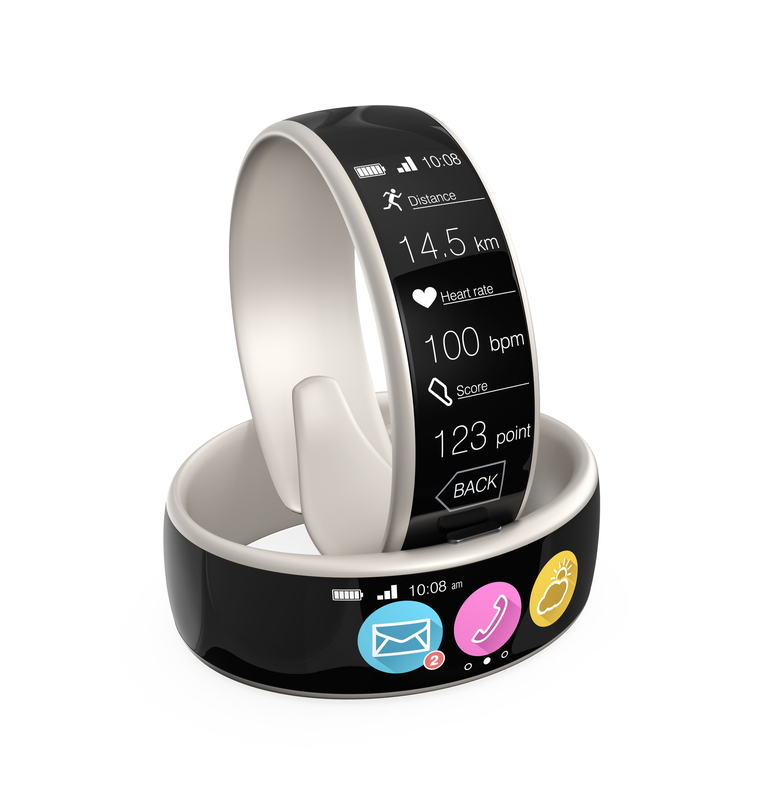 Generally, the evaluation of wearables falls into the three categories of safety, core function and wearable function. These can cover a wide variety of different standards. Safety includes battery and adaptor safety, EMC, WEEE, the control of hazardous substances and specific absorption rate (SAR) for wireless devices. Core function evaluation includes the examination of any sensors present in the device, connectivity, operation and information security. Wearable function evaluation includes the durability of the item in the environments in which it’s likely to be used, the materials that come into contact with the skin, and electromagnetic interference evaluation for those items used in the healthcare industry. According to TÜV SÜD Product Services, the range of standards against which such tests need to be performed is wide and it’s important to have a clear understanding of which standards are applicable to the item being produced. The tests needed for this can include EMC testing, conformance to WiFi alliance performance criteria, Bluetooth and ZigBee interoperability, SAR and RF exposure certification tests and conformance to the European Restriction of Hazardous Substances (RoHS) and Waste Electrical and Electronic Equipment (WEEE) directives and the Registration, Evaluation, Authorisation and Restriction of Chemicals (REACH) regulation. The route to compliance for wearable technology can be complex and requires considerable preparation and an understanding not only of the product, but also the regions and markets in which it will be sold. “There’s no magic compliance passport that covers all eventualities,” said Poate. He went on to explain that the best starting point for any company looking to manufacture such products is to talk to a test house to understand what certification will be needed and what preparations will be needed to produce samples for testing. Test sample preparation is important since a number of tests will be performed, some of which may be destructive and may need product modifications to provide the test equipment with access to the various functions on test. An example may be the provision of leads and terminators that protrude from within the test sample to the outside world to allow easy connection of electronic testing equipment. A mistake sometimes made by manufacturers is to provide a single finished product for testing without having considered how it will be tested or against what criteria. To prevent delays, compliance should be considered early within the design process to ensure the product testing can be performed smoothly and with the minimum potential for unpleasant surprises. Communications is an increasing characteristic of the latest wearable devices on the market and any such device using wireless technology needs to conform to the Radio and Telecommunications Terminal Equipment (R&TTE) Directive which is currently in transition and is due to be replaced before June this year by the Radio Equipment Directive (RED). Products currently in development that are due for release after that date will have to meet the new requirement rather than R&TTE. RED covers RFID as well as wireless transmission and doesn’t include any aspects of EMC or electrical safety, which are covered separately. According to Richard Poate, the route to compliance for wearables can be eased considerably by bearing in mind a few simple tips from the compliance test professionals at TÜV SÜD Product Services. “Don’t take your eyes off the General Product Safety directive,” he said. This is a catch-all directive and even low voltage equipment needs to comply with it. Meeting the needs of this directive should always be considered a must. * Look at the real-world appropriateness of tests performed. For example, it may be more appropriate to see if tech-togs survive a washing machine cycle rather than putting them through complex IP tests. * Consider the labelling requirements and the appropriate positioning of labels. For example, battery labels need to be on the battery cover, not on the outside packaging. * Using pre-approved components can save a lot of time and worries, this is particularly the case for wireless devices. * Consider testing for performance and customer expectations as well as regulatory compliance. * Data security is increasingly important and designers should consider how personal data is collected and how its integrity, accuracy and security is assured. “It is always worth testing against all of the potential things that could be subject to conformance requirements as this goes some way towards proving due diligence,” concluded Poate.